911 Restoration Oakland services a wide geographic area, including Berkeley. Our trained staff is available 24/7 to help residents of Berkeley when there has been Berkeley water damage. In fact, our emergency service is one of the best in the entire region. 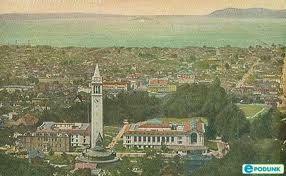 You’ll find that our company is a IICRC member, and we have a license to do business in Berkeley. Moreover, our staff actually has years of experience and are experts when it comes to water damage remediation. When you choose 911 Restoration, you choose the best water damage Berkeley service around. We have an incredibly wide assortment of solutions within the Berkeley area. When you find that you need water damage restoration, or fire restoration, or mold removal, or any number of professional services, you’ll find that 911 Restoration Oakland has the expertise you are looking for. When you call, you’ll find that our friendly staff is truly caring, and that we work hard to have one of our professionals out to your location within 30 minutes of your call or less. 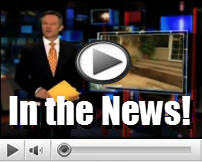 Flood damage can occur from a variety of sources. Whether it occurs due to clean, gray or “black” water, your possessions and indeed anything the water touches is at risk of permanent damage. If you choose to wait a significant period of time, the damage can be even more extensive. That’s why 911 Restoration Oakland suggests that you make the choice to act swiftly. Calling in professionals to deal with your flood damage as early as possible can be one of the smartest things you do if you want water damage restoration done right. Mold testing is extremely important after your home or business has experienced water damage in Berkeley. Mold can take root and grow, causing significant health problems over time. From respiratory problems to cold symptoms that never seem to go away, mold can be a health hazard to you and to your family or co-workers. Our professionals can test for mold on your premises and if it is found, they can expertly conduct a mold removal service. 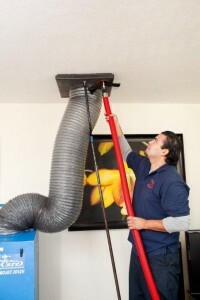 A proper air duct cleaning ought to be done every few years to ensure that you have a healthy home. Air quality is important. Thus, making sure that your air ducts are clean is of paramount importance. On top of that, a clogged air duct system can cause your air conditioning system to work harder. The harder it works, the more electricity it uses. The more electricity it uses, the more greenhouse gasses are produced. The bottom line is that if you want to be environmentally responsible and healthy, making sure your air ducts are clean is just one step in the right direction. 911 Restoration professionals can conduct a proper air duct cleaning. Just contact us to find out how! Not all fire damage is alike. Every building is made up of different materials. Each of those materials burns in a different manner. Thus, fire damage cleanup is not always a cut and dried affair. The truth is, some fires are fueled by simple materials like wood and these can be relatively easy to cleanup. Others are fueled by complex materials and these fire damage clean ups are best handled by experts. Fortunately, 911 Restoration Oakland has the experts that can handle your fire damage cleanup throughout the Berkeley area.